While planning for our trip to Siem Reap, I noticed something... all the places I wrote down on our itinerary are all TEMPLES! Uh-oh! This is bad, I thought. Don't get me wrong. Ed and I are excited to see the famed temples of Cambodia. 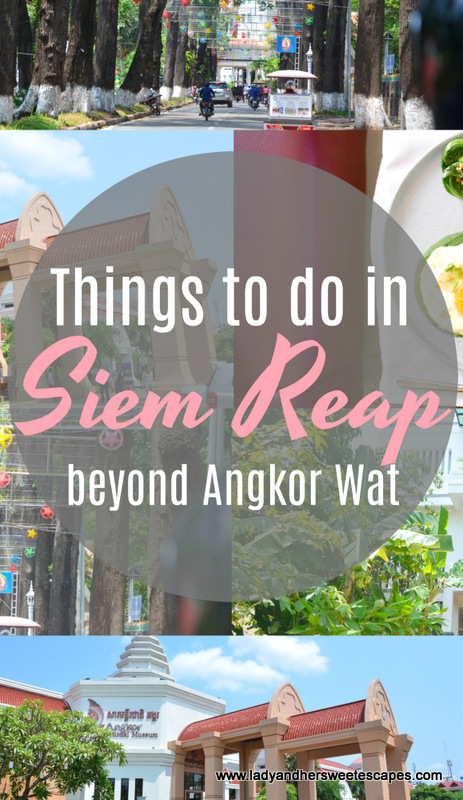 In fact, the temples, especially the Angkor Wat, are the very reason why Siem Reap is on our 20 before 2020 list. But, we all know that "too much of something is bad!" There is actually a minor, yet awful case of fatigue circulating among the tourists in Siem Reap. It's called Temple Fatigue. It's when you have seen too much temples that you no longer want to see any of its kind. 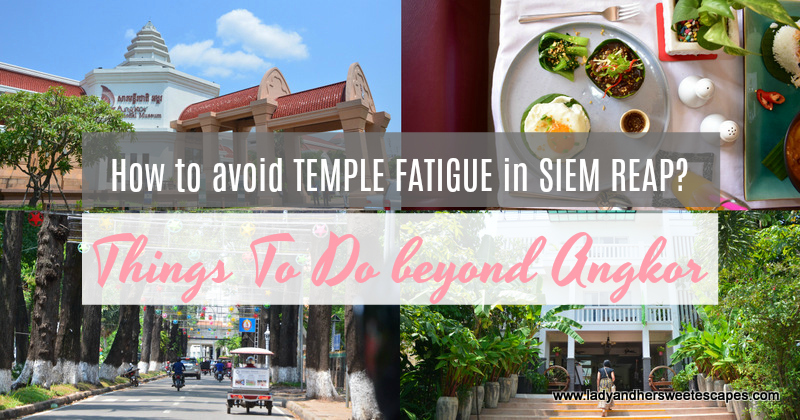 We wanted to avoid temple fatigue as much as we can! So, we made sure that our trip has a good blend of cultural (temples) and modern-day (city) experiences. And it worked! Other than seeing the sights, I could say that trying out the local cuisine is our favorite thing to do when traveling. 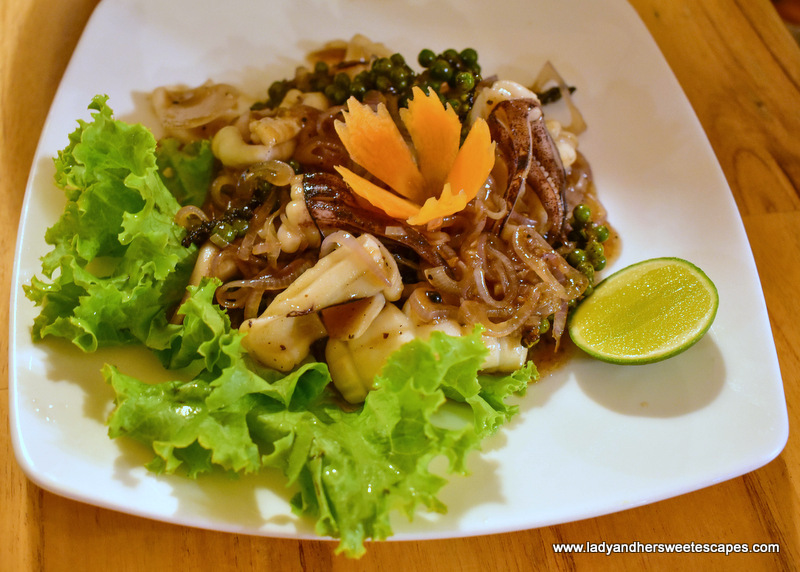 In Siem Reap, we enjoyed eating authentic Khmer dishes. 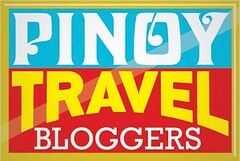 We somehow sensed a resemblance to our Filipino food, but the influence of Thailand and Vietnam are more evident. 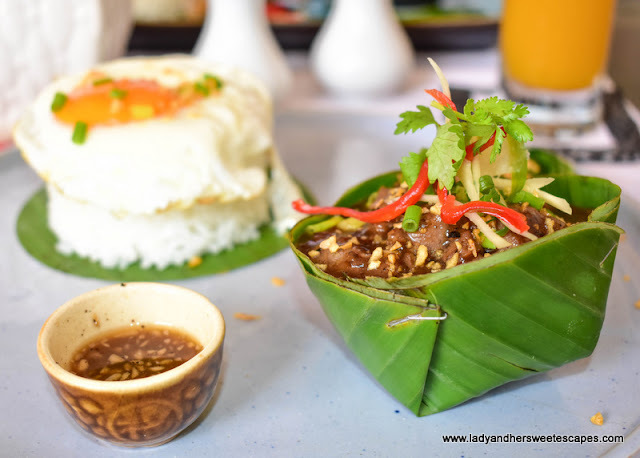 Fish Amok (steamed coconut fish curry) and Beef Loklak (stir fried beef) are our favorites. Where to eat? We asked two hotel staff and both of them recommended Genevieve's in Sok San Road. Reservation is must in this restaurant. We went there on our first night and ended in the waiting list. I guess that tells how good it is! We also went to Little Casablanca. This highly-rated restaurant is located near our accommodation yet we had a hard time finding it because it is a small unassuming cafe. Food is reasonably priced, delicious and well-presented. On our last night in Siem Reap, Ed and I went to see the Phare Circus. It is not your ordinary circus show! Phare, The Cambodian Circus, is a world-renowned show composed of theater, music, dance, art and acrobatics. The artists are graduates of Phare Ponleu Selpak - an NGO school for visual and performing arts. We watched Sokha; a haunting yet heartwarming story of a child troubled by her memories of the Khmer Rouge. Sorry guys, but I don't want to spill all the details here. It's for you to find out. Just prepare to be moved and mesmerized! General Open Seating ticket cost 18 USD for adults (age 12 and up), 10 USD for children (age 5 to 11), free for infants (age 4 and below). I know this is Angkor-related, but after a thorough discussion we opted to go for it! And visiting on our first day, before we head out to the temples was a good decision. 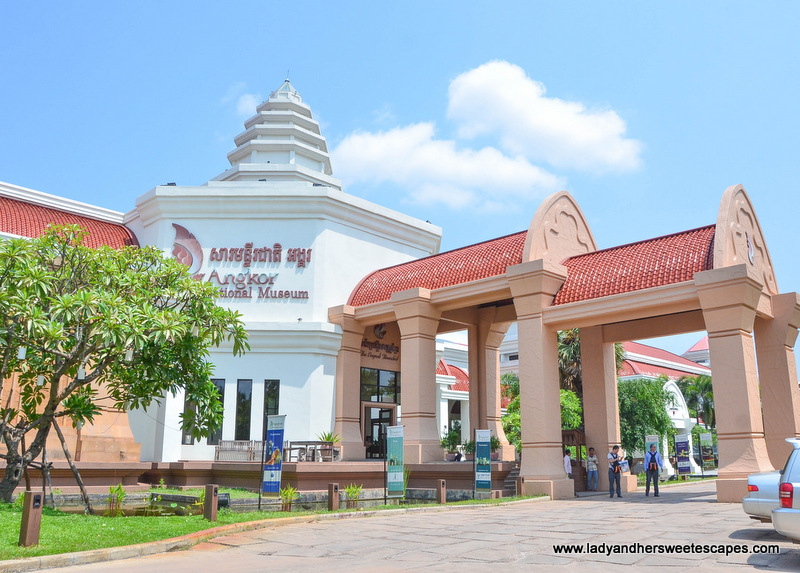 The Angkor National Museum gave us a brief background on what we are about to see up close. Hiring a tour guide for the Angkor Wat was not in our plan; hence knowing the basics on its history, on the religion and on the structures helped us understand and appreciate the wonder of the world even more. I could never say no to a good massage, especially after a long afternoon of temple hopping. In Siem Reap, it has to be in a traditional Khmer way! I had it right in the comforts of our boutique hotel. Diamond d' Angkor has its own Spa which offers a wide-range of massage and treatments. Khmer massage is different from all the other massages I had. I was fully clothed in light pajama and the therapist did not use oil. It is a dry massage focusing on pressure points and involved gentle stretching movements. It was invigorating and very relaxing! 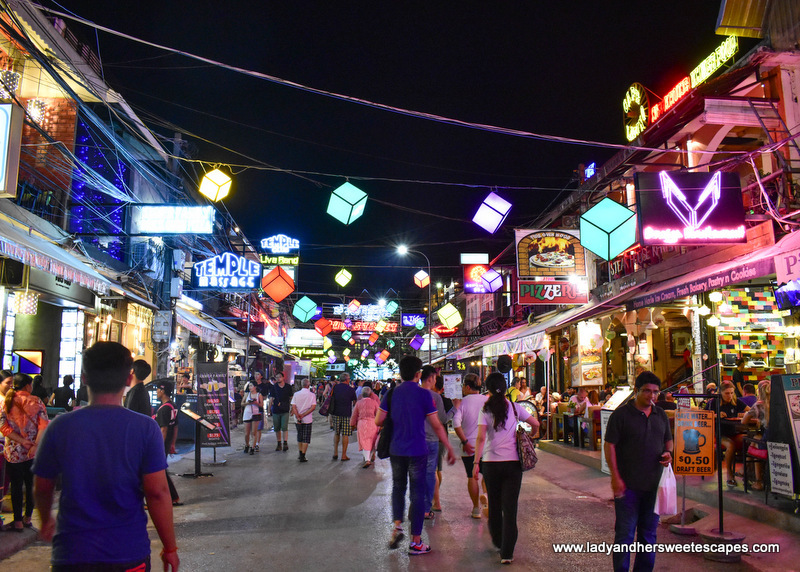 One of the perks of staying along Sok San Road is being away from the chaos of the Pub Street and being close to the Night Market! Every night, we just walk from our hotel to the organized labyrinth of retail stalls. Items are affordable and could drop down to extremely cheap depending on your haggling skill. We almost did, but it already started when we arrived! Hahah! 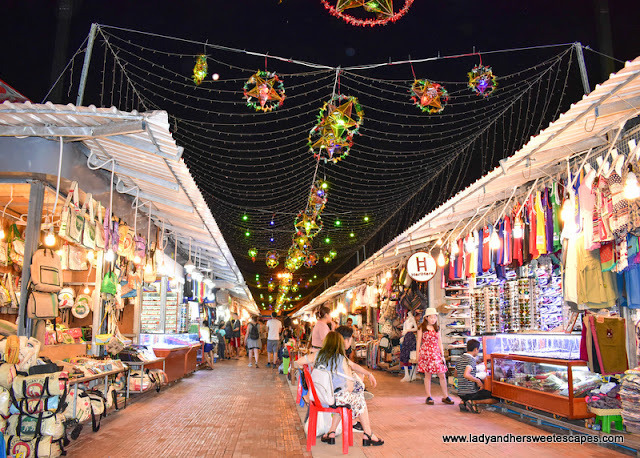 Pub Street is a hub for young tourists in Siem Reap at night time. It is a lane of cool pubs, restaurants, and street food stalls selling skewered bugs. Ewww! Overall, Siem Reap's Pub Street has a fun vibe; less intimidating compared to the night scene in Phuket's Bangla Road if you ask me. Relax in your boutique hotel. Based on our experience, it is important to have an accommodation where you can laze around in between temple hopping! We went back to our boutique hotel after sunrise in Angkor Wat for a proper breakfast and some nap time! While other guests preferred to slack by the pool with books and drinks. This helped us relax our senses and made us look forward to another temple-related activity. 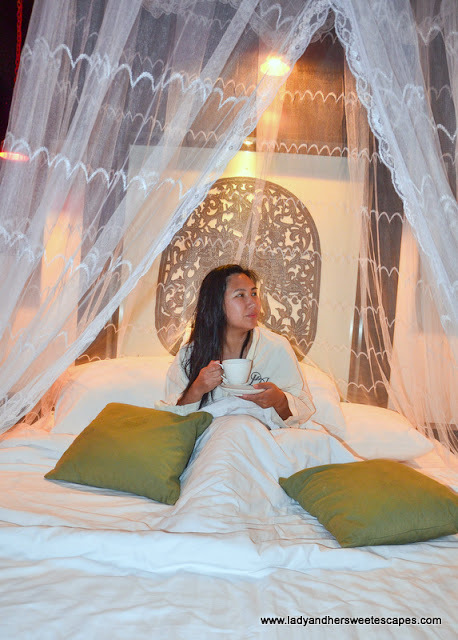 Siem Reap has lots of small hotels that could match the service and ambiance of luxury hotels. 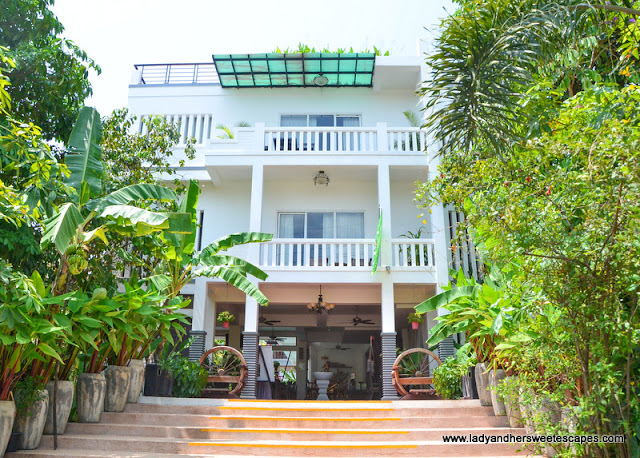 Our accommodation - Diamond D' Angkor Boutique - in Sok San Road is one of those! We were very lucky to receive a free upgrade to a Junior Suite with a bed that somehow made me feel like a Cambodian Princess. But, even if we were not upgraded, we still could have loved our stay as the amenities are excellent and the service is top-notch! Special thanks to Mr. John of Diamond D' Angkor for taking care of us during our stay. 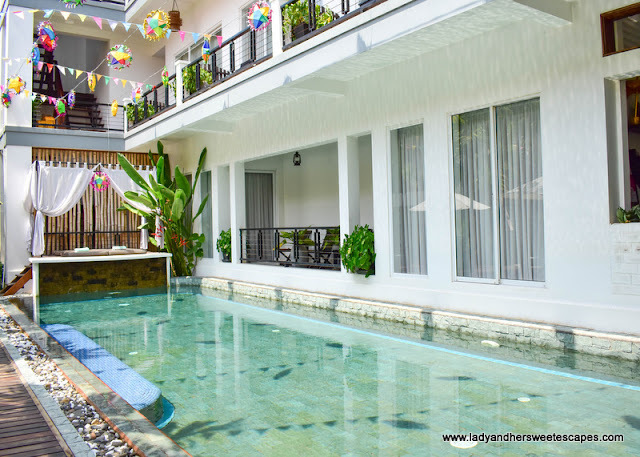 When looking for an affordable accommodation in Siem Reap, choose a boutique hotel with a pool! You'll surely need a relaxing dip after temple hopping! How did you avoid the so-called temple fatigue? Or are you still planning for a trip?